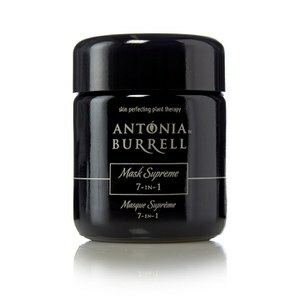 The Antonia Burrell Mask Supreme 7-in-1 is the perfect companion to fight against your skin care woes. Boasting seven different actions, the mask works to hydrate, smoothen, purify, repair, clarify, illuminate, protect and perfect your skin. Skin will be left feeling brighter and healthier after only a few applications. The powerful formula of the mask is made up of botanical ingredients. The Oleosome technology improves skin’s suppleness as well as maintaining its moisture levels whilst the phoridium extract fights against signs of ageing as it protects the skin from harsh external aggressors such as the sun. The mask helps to remove impurities from the skin thanks to the bentonite clay extract whilst the Amazonian Bio-Active reduces the appearance of imperfections. Abyssinian oil helps to keep lines and wrinkles at bay whilst frankincense and rose geranium oil leave the skin feeling renewed and revitalised. 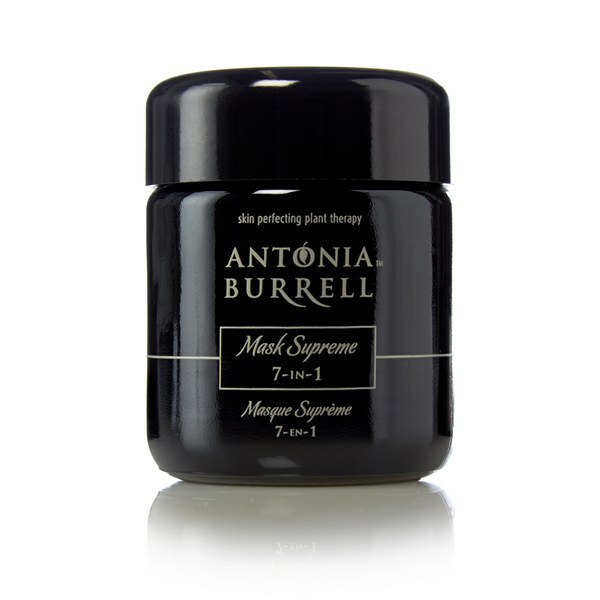 In addition, all of Antonia Burrell’s range contains violet grass which helps to preserve natural ingredients therefore prolonging the life of her products. A.B. Apply an even layer to the face and neck. Leave to dry for 10 minutes and remove with a hot cloth. You can leave the mask on overnight, allowing the ingredients to work together whilst you sleep, this will give you complexion an added boost.